Whew, my apologies for not tuning in yesterday, but I have a few great video clips I saw this past week that I wanted to share with you to take you through the weekend. Have you seen the beautiful Hermes ads around this season, I was flipping through a magazine and came across the horse one above -- gorgeous! What about the super clever ad they done with some fingerboard action? Not sure how many skateboarders wear Hermes, but wow ... it is pretty impressive. Thoughts? I also like this Hermes ad. Continuing on the fashion note, this second clip makes me want to hop on a plane right away and head to NYC, it is a film series by the amazing photographer Gabriel Mendes and Ani Tzenkova (for Safari Sundays +Trendland) who captured street style in New York City during fashion week. I love how motion captures a mood and feel of a city, even more than photography. Don't you want to see more clips like this of cities all around the world? What city would you want to see most? See more Talk a Walk style clips from here -- ( I really like this one) they are so fun to watch. pretty impressive finger skateboard skill! 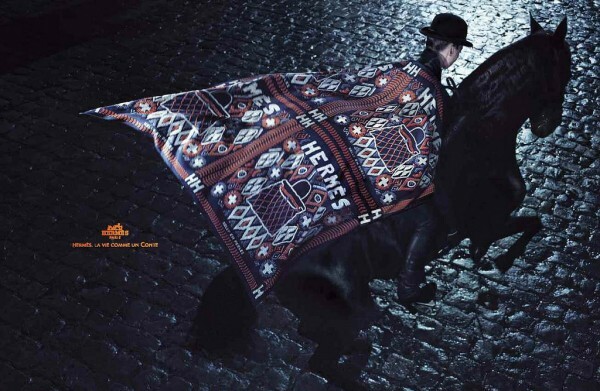 stunning - love hermes and love the ads! yes, they are pretty impressive! Wow, very cool...love the Hermes! Wow, I had to watch each video twice! It definitely does make you want to go to NYC! Love it...when you really look around there is so much inspiration....that is what I like about your blog...you do so much of the work that we all get to enjoy. Thank-you. Boca do Lobo usually gets inspiration from Hermés and their wonderful pieces. The attention to detail and the exclusive feeling of this brand are an example to us all at Boca do Lobo.